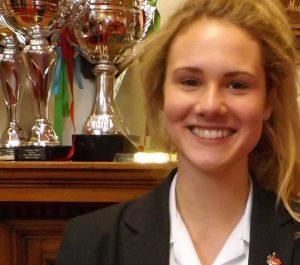 Head Girl, Laura, tells us about the most valuable life lesson that Red House has taught her and how it has developed her as a person. The most valuable lesson Red House has taught me is the ability and the importance of working well as a team. Red House is a school which takes pride in its wonderful ethos and community value. From the age of 3 – 16 pupils interact throughout the year groups and give each other a helping hand. Whether it be academically, musically or on the sports fields, Red House teaches pupils to work together to achieve their goals and aspirations. Teamwork is a large part of life at Red House. We often undertake group work in lessons which enables us to share ideas and learn how to compromise. We are frequently encouraged to praise and constructively criticise our peer’s work, which helps us to accept criticism and gives us confidence to express our opinions. Red House has given me the opportunity to develop these skills and has helped me to build self confidence. I am comfortable speaking in groups; I enjoy listening to other people’s ideas and working together to develop a solution. Red House has provided me with valuable life skills which will last way beyond the classroom.